Idyllic Melrose with its tree lined streets is free from the hustle and bustle of the city. One of Johannesburg’s “best kept secrets” is the exclusive residential suburb of Melrose, which is conveniently situated midway between South Africa’s financial capital of Sandton and rapidly growing Rosebank. 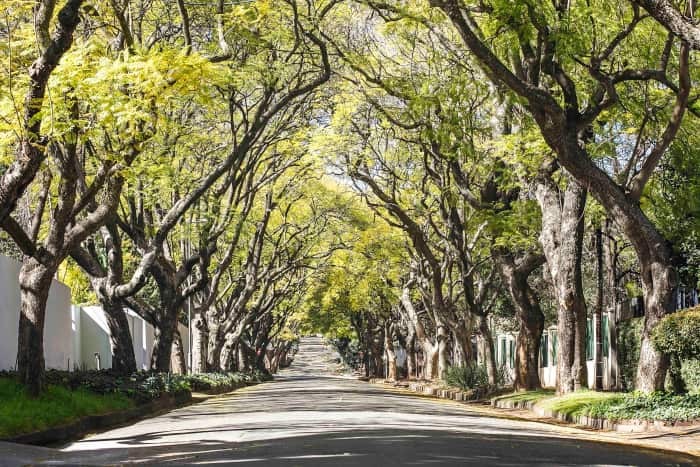 While it is situated within the heart of the city, magnificent family homes with established gardens can still be found in the attractive, tree-lined suburb of Melrose, says Richard Smith, manager of Pam Golding Properties Hyde Park office. 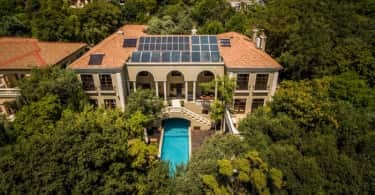 “Melrose is one of Johannesburg’s most coveted and sought after residential addresses,” he adds. The area has a rich and fascinating history, dating back to 1893 when businessman Henry Brown Marshall bought much of the land within the Melrose area to establish a farm called Melrose Estate. Glenhove Road, which passes through Melrose, was named after the estate in Scotland where Marshall was born. “Melrose is a relatively small upmarket suburb consisting of a total of close on 360 residential properties. Most of the homes in the area, around 200, are large traditional freehold properties, although sectional title developments have become more of a feature of the area in recent years. 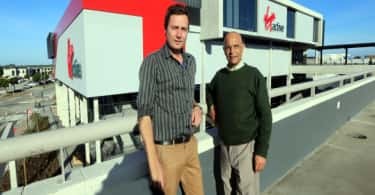 The neighbouring suburbs of Melrose North and Birdhaven contain more sectional title developments,” observes Smith. “The suburb remains idyllic and free from the hustle and bustle of the city. While this is so, Melrose is located just minutes away from both Sandton and Rosebank alike, as well as the mixed use Melrose Arch development, with excellent facilities on offer at these centres. The suburb has consequently remained popular and residential properties of all kinds are in demand within the area.” Pam Golding Properties Gold Club agent, Kimberly Dods, who specialises in marketing freehold homes in the area, says that Melrose is a well administered and tightly knit community with many of the home owners enjoying their properties to the extent that they retain them for many years and some have even been kept within families for generations. “According to the most recent area report released by property research company Lightstone, 56 percent of home owners in Melrose have retained ownership of their properties for eight years or more,” she notes. She says that four-bedroom homes in Melrose may fetch anywhere between R5.5 million and R15 million. Large luxury homes in the area may be marketed for R30 million or more. A sectional title home may be acquired for approximately R2.25 million. An exclusive four-bedroom apartment within Melrose Arch is currently being marketed by Pam Golding Properties for R35 million. “While the area has rapidly densified in recent years, Melrose has retained all of its charm,” notes Dods. “Most residents in the area are affluent business people, executives and professionals. They appreciate the fact that they are able to reside in such a lovely family suburb that is at the same time so central”. “Melrose is in close proximity to every possible amenity, including outstanding shopping, entertainment, restaurants, offices, places of worship, as well as some of the finest schools and educational institutions in Johannesburg,” she observes. Kingsmead College, Pridwin, St Theresa’s Mercy School, Brescia House Ursaline Convent, Sandton Crawford College, Redhill School, St David’s Marist Inanda and King David Primary School Sandton are all situated just a stone’s throw from Melrose. The University of Pretoria’s highly regarded Gordon Institute of Business Science (GIBS) is, meanwhile, situated within neighbouring Illovo. “The suburb not only offers easy access to Sandton and Rosebank, but is also supported by major road systems such as the N3 freeway and nearby Gautrain stations. Pam Golding Properties Gold Club agent Carol Truter, who works alongside Dods, points out that Melrose Arch with its many fine restaurants and retail stores is also close to hand for residents, as is the popular Thrupps shopping centre. “The residents of Melrose are able to walk their dogs in the tree-lined streets and enjoy the street-side shops, or spend the day taking in the more than 120 wild bird species at the Melrose Bird Sanctuary,” adds Truter. Smith believes that given Melrose’s superb location and beautiful property options, the local residential property market in the area is likely to remain strong well into the foreseeable future. “Nevertheless, sellers should keep in mind that the market is in broad terms currently a buyer’s market where investors are showing considerable care before investing in a property”. “This means that residential properties need to be appropriately priced if they are to be sold in good time. A trusted property agent with excellent local knowledge and experience will be able to assist in providing the necessary guidance in this regard,” he concludes.